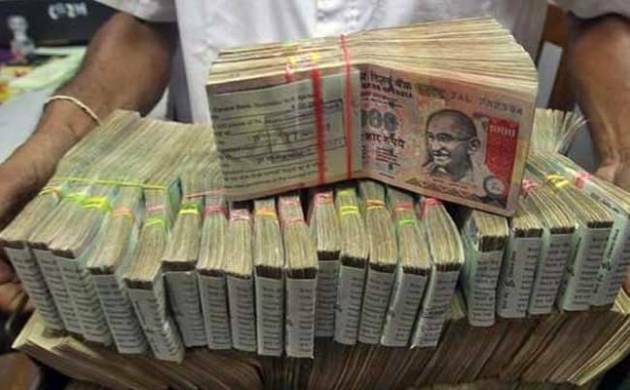 Rs 12.44 lakh cash, including Rs 10.60 lakh in new currency denomination of Rs 2,000 notes was seized in Satellite area from a car during search operation in the locality, they said. New and defunct currency notes of Rs 34.4 lakh and a gold biscuit have been seized from two separate spots in Ahmedabad and Jamnagar of Gujarat and four persons were detained in this connection, police said on Wednesday. Three persons - Virbhadra Jadeja, Pravin Mali and Yajvendra Parmar - were detained and a gold biscuit has been seized from their possession, Satellite police inspector M U Mashi said. The trio was later handed over to the Income Tax department officials, who are interrogating them, he said. In a separate incident, police intercepted a car near Bhadra Patiya village in Jamnagar's Jodiya taluka late last night and seized Rs 22 lakh, mostly in old currency notes of Rs 500 and Rs 1,000. During the inspection of the vehicle, a contractor identified as Raja Madam was found carrying the currency notes, police said.Madam was detained and the IT department has been involved in investigation, they said.